(Fernie, BC) – If you like your powder light, and your beer dark, Fernie is the place to be. The Griz, Fernie’s infamous mountain Legend who brings the snow to Fernie, has certainly delivered so far this season, just in time for the holidays. With an abundance of fresh pow throughout the valley, the stoke factor is as high as the snow is deep. And of course, after a day in the mountains, there is nothing better than kicking back with a cold beer, recounting your days’ finest face shots and your friends worst yard sale. That’s where Fernie Brewing Co. steps in. Just in time for Christmas, Fernie Brewing Co. launches their newest 650ml Winter Seasonal. Java the Hut Coffee Milk Stout. 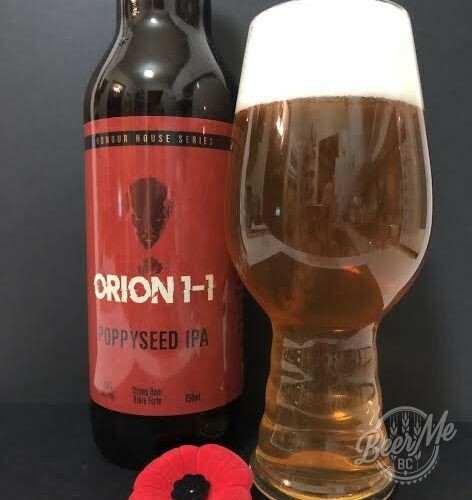 A unique, delicious and satisfying brew. The popular and local Crowsnest Coffee Roasters, supply the perfect blend of coffee beans for this brew. “They are added to the mash, along with a decadent amount of chocolate, Black Prinz and Roasted Malts. Add some milk sugar, and you get a stout with amazing flavours and dreamy smoothness,” says FBC’s Brewmaster, Gord Demaniuk. 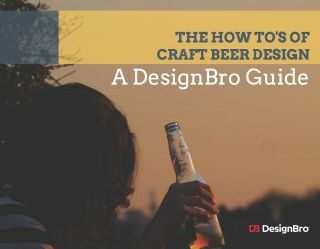 With a unique and rich infusion of coffee, 40 IBU and 5% alc./vol., it’s a truly satisfying brew, perfect for any occasion. In FBC’s distinctive design, its recognisable illustration is of Thunder Meadows Cabin, one of Fernie’s most popular backcountry ski huts, lends itself to this mountain man brew. 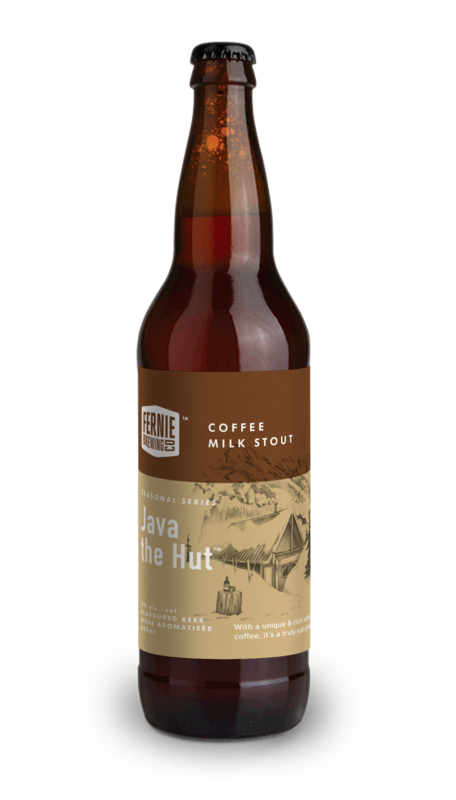 Slotting into their rotating 650ml bottle, Java the Hut will be available officially as of January 1st, throughout BC and Alberta, with an early local launch of December 24th throughout Fernie. 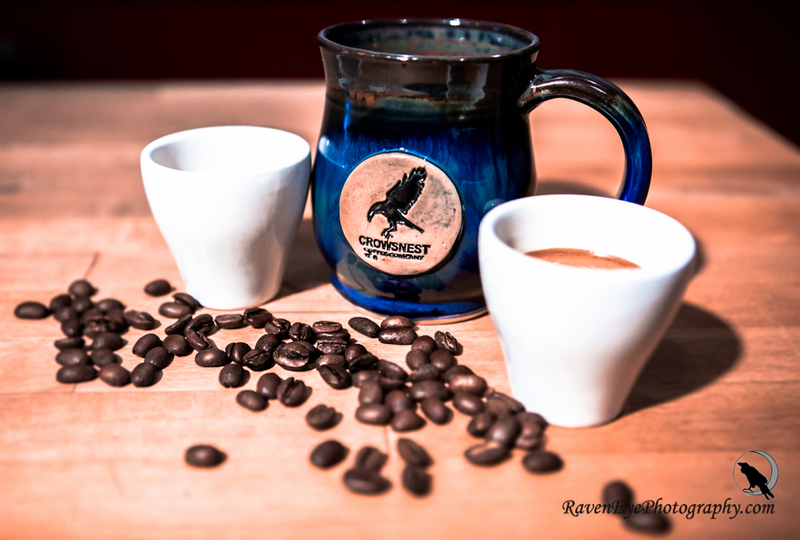 To help celebrate the local launch at FBC, Crowsnest Coffee Company is setting up in the Brewery’s tasting room, serving delicious freshly brewed coffee to ski (or shopping) weary visitors. Coffee will be by donation, with all proceeds going to FBC’s “Cheers to Charity!” Program. The current recipients of which are Fernie Family Housing Society. FBC will be open 10AM – 4PM on the 24th. 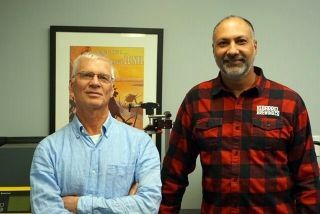 For full information on this new brew, and all FBC’s other offerings, head to www.ferniebrewing.com.